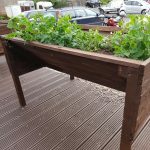 Earlier this year Fyne Futures on the Isle of Bute got in touch about supporting a new Incredible Edible group based in Rothesay, Scotland. Fyne Futures supports a range of activities to inspire, educate and empower people to take action to make Bute the first zero waste island. Identifying synergies with the Incredible Edible approach, Fyne Futures started asking people from the local community about whether they’d be interested in starting an Incredible Edible group. 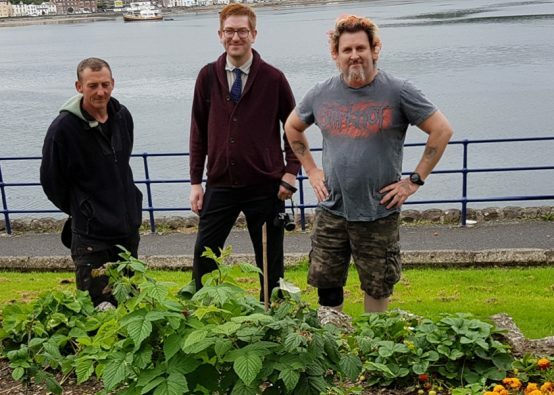 After a series of meetings and discussions, a community Steering Group of Incredible people, supported by Fyne Futures staff and some funding, have led the start of Incredible activities in Rothesay. 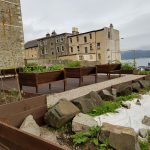 The first sites identified were nine rose beds along the sea front at Battery Place which the council were going to grass over. So the Incredible Edible group stepped in with the proposal to plant some fruit and herbs in the beds instead. After some initial resistance (well they won’t look as pretty…) and some research, the group got on with planting a range of fruit bushes which will be hardy to the exposure to the wind, rain and sea spray as well as strawberries and a selection of herbs. 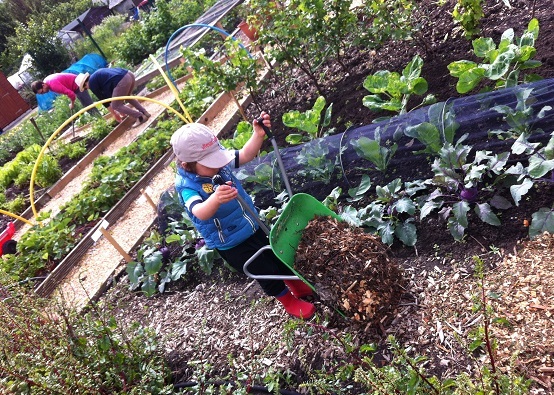 Using growing expertise from Fyne Futures Lead Horticulturalist, Ronnie, engineering design expertise from award winning Steering Group member John (Regional Hero for Cowal and Bute at the 2018 Argyll and Bute Third Sector Interface Volunteer Awards), as well as some funding from the Climate Challenge Fund, an Incredible accessible growing space has been created at the Chapel Hill site. 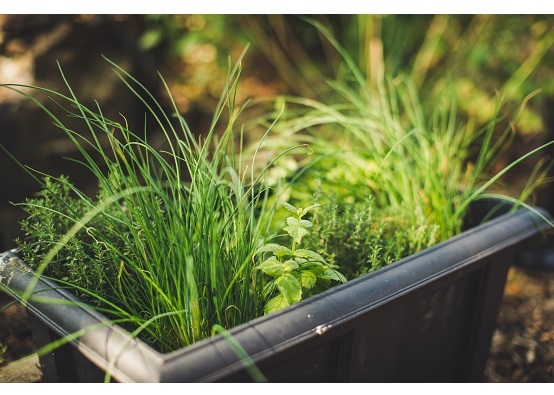 With a ramp and accessible raised growing planters, this space, which had been derelict, has been converted into an amazing growing and learning space with a range of vegetables, herbs and fruits. 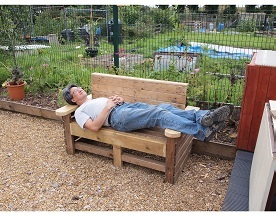 In true Incredible style, the significant construction work was completed on a minimal budget, making use of wood scraps which would otherwise have gone to waste and getting support from local business through the loan of digger and operator for a few hours and a team of people for some heavy lifting through the local Community Payback scheme. The group have encouraged everyone to come to the site and harvest the food as well as using the site for learning activities for local school children. 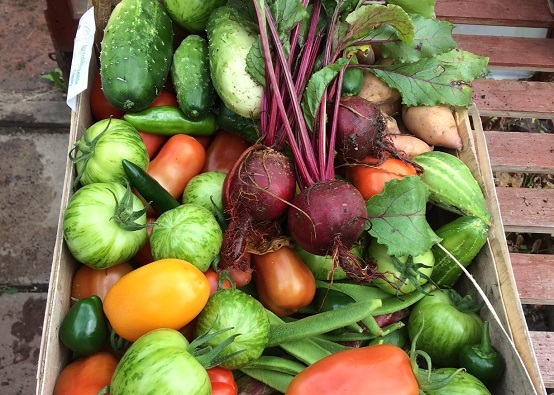 Chapel Hill is near the local food bank, so people collecting a food parcel can easily pick some fresh produce to add to their meals. Once the local residents saw what was going on, they got involved too – with one keen supporter providing a regular supply of cake to the team working on the site. 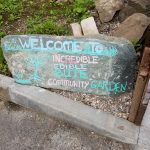 Incredible Edible Bute is a great example of the range of skills a new Incredible Edible group can benefit from – it’s not just growing expertise that’s important, it’s planning, technical, logistical as well as tea and cake making! 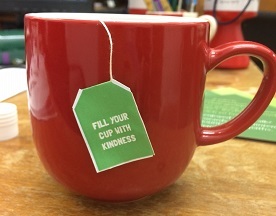 It also shows how once Incredible activities start, people in the local community rally around, gaining interest and ownership in what’s going in, creating those connections, building confidence and demonstrating kindness. If you’d like to start a group in your area, sign up to the website and have a look at the Getting going resource pack which has loads of information and resources for new groups.